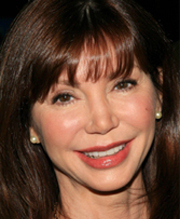 Victoria Principal, who is best known for playing Pamela Ewing on “Dallas” (1978-1991), is being sued by her former maid, Maribel Benegas, the Kansas City Star reports. Benegas claim that she took Principal’s dog (a Shih Tzu-type breed called Mei-Ling) for a walk and when she came back, the actress was furious because she thought it had taken too long. The maid explained that it took so long because the dog wouldn’t doodoo, but Principal didn’t care. The 59-year-old actress fired the maid immediately and when Benegas asked for her final check, Principal allegedly fetched a gun and aimed it at her. The maid is seeking unspecified damages for assault, false imprisonment and emotional distress and is also suing for lost wages, according to Metro. Principal has in turn filed a lawsuit against Benegas, who she claims was both unprofessional and aggressive. According to Principal’s lawsuit, Banegas injured her dog, damaged a door at her home, and repeatedly demanded money from the actress, The Seattle Times reports.